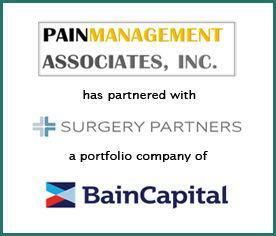 Pain Management Associates, Inc. and Interventional Spine Center, Inc. (collectively referred to as “Pain Management Associates” or “PMA”), have partnered with Surgery Partners, a portfolio company of Bain Capital. PMA is the leading provider of premium interventional pain management in Orange County, California and the surrounding communities. Provident Healthcare Partners (“Provident”) served as exclusive financial advisor to Pain Management Associates. The terms of the transaction were not disclosed. “Provident made the transaction go as smoothly as possible. It was a pleasure to work with the entire Provident team – each and every one of them are true professionals. We are grateful to have had them as an advisor in this process,” noted Keyvan Zavarei M.D, Co-Founder of Pain Management Associates. “Leveraging the resources of Surgery Partners and Bain Capital, Pain Management Associates will be well positioned to continue growing throughout the fragmented Southern California marketplace,” commented Abe M’Bodj, Analyst at Provident Healthcare Partners. Pain Management Associates provides care out of 5 locations in Anaheim, Fountain Valley, Irvine, Laguna Hills, and Long Beach, California, in addition to three wholly owned ambulatory surgery centers in Laguna Hills, Long Beach, and Anaheim. The centers are certified by Medicare / Accreditation Association for Ambulatory Health Care (AAAHC). For more information, visit http://pmaphysician.com/.